Home Strange Stories Some very strange things concerning real Werewolf stories. Besides being a recluse, Gilles Garnier was also a mass murderer who devoured children when they strayed from home. Witnesses who saw him committing these atrocious crimes said he sometimes took the form of a wolf. Once captured Garnier confessed that he had indeed changed himself into a wolf and killed and eaten children. He was charged with the abominable crimes of lycanthropy and witchcraft and burnt alive at Dole, in eastern France, on 18 January 1573. Usually only starving or rabid wolves attack people, and in the sixteenth century these were assumed to be werewolves (from the Old English word wer, meaning man). 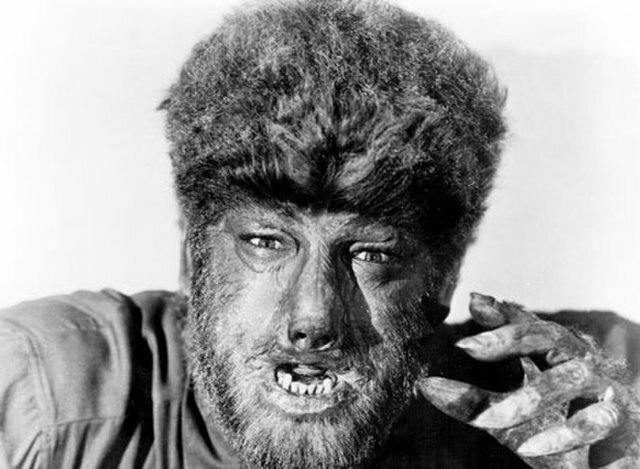 Garnier came from a wolf-infested area where four people were tried as werewolves between 1520 and 1575. Elsewhere in Europe trials were less common, though many more accusations were made. England had none, as wolves had been eliminated by 1500. A notorious werewolf came from near Cologne, Germany. Peter Stubbe was convicted of murdering and eating 13 children (including his own son) and two pregnant women. He boasted that the devil had given him a magic belt, which he used to turn himself into the likeness of a devouring wolf. Stubbe was broken on the wheel, beheaded, and burnt on 28 October 1589. During the witch craze of the sixteenth and seventeenth centuries, female witches were said to ride to their sabbats on wolves, and male witches to change, or shape-shift, into wolves when attacking people and animals. If a transformed wolf was injured, the person’s body would still bear the wound when it returned to human form. A 1588 story from the French Auvergne tells of a huntsman who cut off the paw of a wolf and placed it in his bag. Later, when showing it to a local nobleman, he was astonished to find that it had changed into a hand wearing a golden ring. The horrified nobleman recognized the ring and rushed to his kitchen where he found his wife nursing her wounded arm. She was promptly burnt as a witch. In many werewolf trials, such as the Gilles Garnier case, the defendant was judged to be genuine shape-shifter and was condemned to a painful death. But since ancient times lycanthropy – the belief that one is turning into a wolf – has also been recognized as an abnormal mental condition. Afflicted people howl, frequent graveyards and crave human flesh. In 1603 a 14-year-old shepherd boy, Jean Grenier, was tried at Bordeaux in France for attacking and eating children. In court the boy claimed that the lord of the forest had given him a wolf skin and a salve with which to turn himself into a wolf. He admitted eating a dog, a baby and two little girls. But detailed questioning during his trial showed that Grenier was given to inventing all manner of wild stories. After consulting with medical specialists, the judge pointed out that the unfortunate Grenier was clearly mentally retarded and called for a verdict of insanity. Instead of being burnt at the stake, he was imprisoned in a monastery, where he died at the age of 20. While most convicted werewolves do seem to have been psychotic serial killers, werewolves also have a more benign side. In 1692 an 80-year-old peasant named Thiess told the judges of Jurgensburg, Livonia – at that time a province of Russia – that three times a year he turned into a wolf. It was his destiny, announced at his birth, to change into an animal and fight on behalf of his people. On the nights of Saint Lucy, Saint John and the Pentecost, Thiess claimed he joined the other Livonian werewolves on a journey to hell to fight with the devils and sorcerers over the harvest for the coming year. Thiess seems to have been continuing an ancient tradition of dream battles for fertility undertaken by special people in the form of animals. Wolves were traditionally associated with the realm of the dead and werewolves were thought to be most active during the 12 nights after Christmas, when the dead were supposed to roam the earth. In hunter-gatherer societies the ability to change temporarily into the shape of an animal was one of the sources of a shaman’s power. The belief that some people can change themselves into wild animals seems almost universal. In areas where wolves do not exist, other creatures fulfill this role. In South America they change into were-jaguars; in Africa into were-leopards, were-hyenas, and even were-crocodiles; in India into were-tigers; and in Japan into were-foxes and were-badgers!